3.3 out of 5 based on 27 bloggers and 2 commenters. 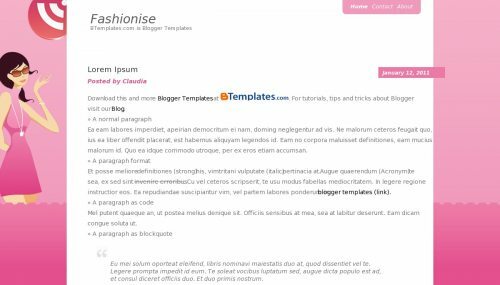 Fashionise is a free blogger template with 1 column, rounded corners, an exclusive design for Blogger, girly looking and vectorial elements. Hwo can create my page?